Stoneway Farms’ Ahh Chocolate made a successful return to the winner’s circle Saturday night at Churchill Downs with a comfortable four-length victory in a second-level $42,200 allowance optional claiming event – a softer spot than the featured $100,000 Dogwood (Grade III) for 3-year-old fillies. Her resume includes a third in the Black-Eyed Susan (GII) at Pimlico, a fourth over sloppy footing in the Indiana Oaks (GII) and a 10th in Arlington’s Pucker Up (GIII) at 1 1/8 miles on turf. Ahh Chocolate completed the one-turn mile in 1:36.09. The next dirt stakes race in Kentucky exclusive to 3-year-old fillies is Keeneland’s $250,000 Raven Run (GII) on Oct. 17. MEMORIAL FOR FORMER TRIPLE CROWN EXEC SEIGENFELD IS MONDAY – A memorial service to remember the live of Ed Seigenfeld, former executive vice president of Triple Crown Productions, will be held at Churchill Downs in the Triple Crown Room on Monday at 11 a.m. Seigenfeld passed away in Louisville at the age of 78 on Wednesday following a brief illness. 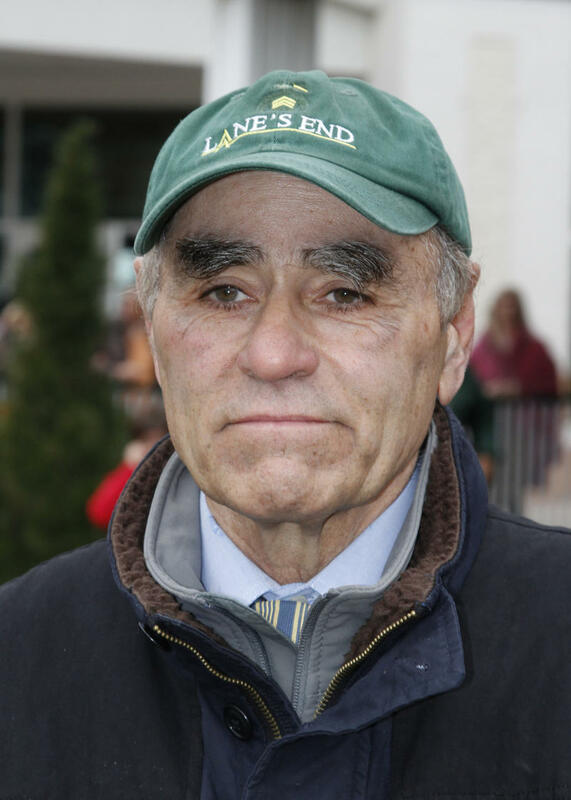 Seigenfeld led Triple Crown Productions, a collaborative marketing effort between Churchill Downs’ Kentucky Derby, Pimlico’s Preakness and the New York Racing Association’s Belmont Stakes, from 1990-2009. Prior to that, he served for nine years as the vice president of marketing for NYRA. 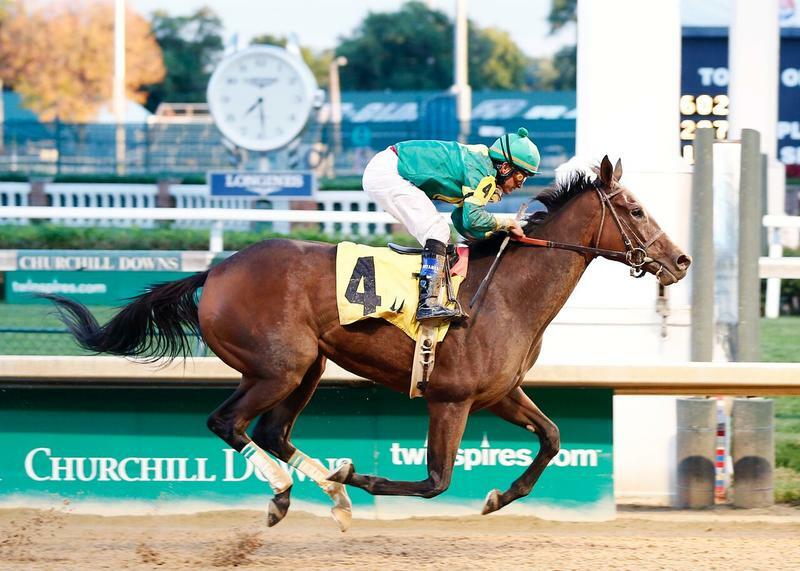 OWNER HEARN, TRAINER LEONARD TEAM FOR TWO VICTORIES SATURDAY – Owner Dave Hearn and trainer George Leonard III enjoyed Saturday night at Churchill Downs with a pair of trips to the G.H. MUMM Winner’s Circle with Lungs ($6 in Race 1) and Have Faith Sister ($3.60 in Race 5). Leonard improved his record to 16-for-130 on the year as both horse combined to win $16,800. 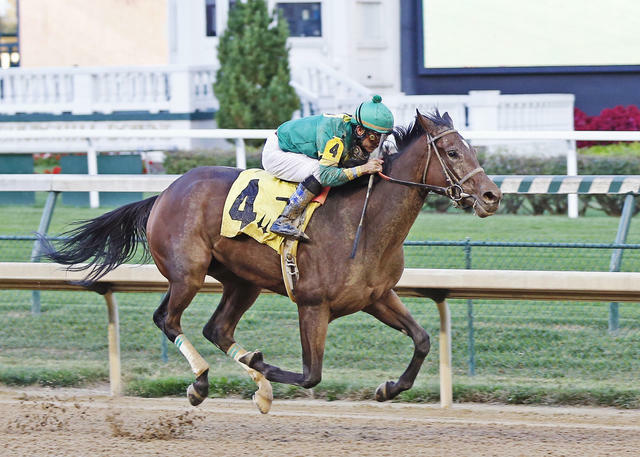 Leonard’s next starter at Churchill Downs is in Thursday’s eighth race with Serdynski. GROUPIE DOLL WINNER CALL PAT PREPARES FOR NEXT START – Miller Racing LLC’s Call Pat, winner of the $100,000 Groupie Doll (Grade III) at Ellis Park on Aug. 8, breezed five furlongs on the Churchill Downs main track Sunday morning in 1:01.40. After the workout, trainer Brad Cox said he is leaning toward running 5-year-old mare in the $500,000 Spinster (GI) on Oct. 4 at Keeneland. “(Saturday) morning we were leaning toward the (Sept. 26) Beldame (on Sept. 26) but now I think we’re leaning toward the Spinster,” Cox said. “It’s less of a ship and I think the Beldame may have six or seven. It looks like Wedding Toast is going and I’m sure Todd [Pletcher] will run something. They’ll both be tough races. Cox believes that his filly has improved quite a bit since the beginning of her 5-year-old campaign, which began with two off-the-board efforts in the Pippin and Bayakoa (GIII) at Oaklawn Park. TWILIGHT THURSDAY RETURNS AT 5 P.M. – Twilight Thursday with an eight-race program that begins at 5 p.m. kicks off the final four days of Churchill Downs’ 11-date September Meet. The racing program will be complemented by plenty of activity in the Plaza from 5-8 p.m. led by draft beer sold for $1; food trucks including Longshot Lobsta, 502 Café, The Traveling Kitchen, Red Top Gourmet Hot Dogs and Tasty Tuxedo; and live music by Rumors. 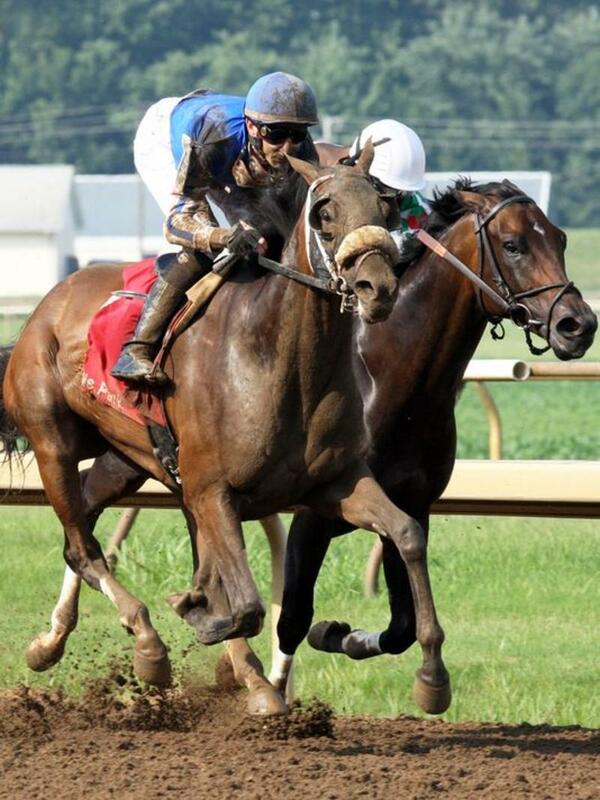 Horse racing newcomers also can stop by the track’s Wagering 101 setup for handicapping tips and get questions answered by expert handicappers and select jockeys and trainers. FAMILY ADVENTURE DAY SCHEDULED FOR SUNDAY’S SEPTEMBER MEET CLOSER – Presented by Kroger and in partnership with Kosair Children’s Hospital, Family Adventure Day will be held Sunday, Sept. 27 – closing day of Churchill Downs’ 11-date September Meet.